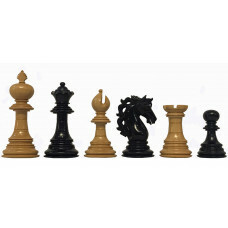 American Adios chess pieces are made in ebony wood and boxwood. The king is 112 mm high. The chess set comes with 34 pieces including 2 extra queens. Each piece is meticulously carved and buff polished by hand to give it a rich and long lasting shine. 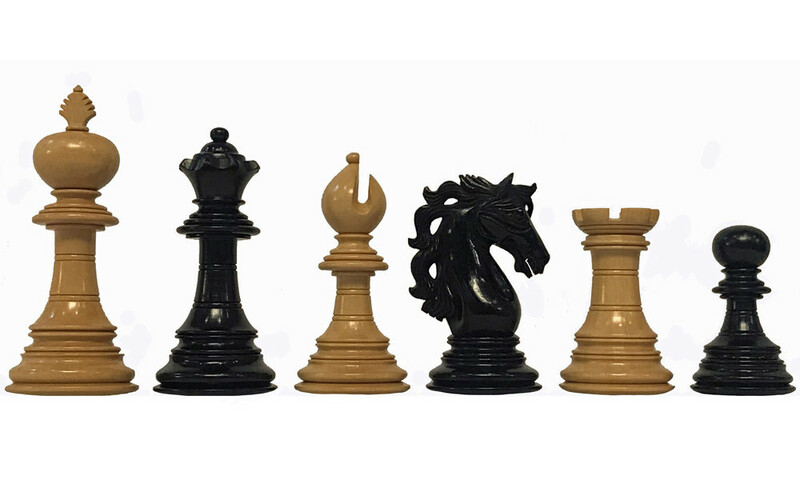 The design, quality and craftsmanship of these chess pieces is unmatched. This set is Triple Weighted and the chess pieces have green felt on their bases. The knight in this chess set has been dedicated to racing horse Adois, who was multiple world champion during his racing career. Born in 1940, Adois is the most well known horse in the history of harness racing. Apart from the races won, Adios was more famous for siring champion harness racing horses. His pedigree won Eight Little Brown Jugs and Two Triple Crowns of Harness Racing for Pacers. A race, a golf club, a course and a book, Adios: The Big Daddy of Harness Racing were name after this world famous horse. 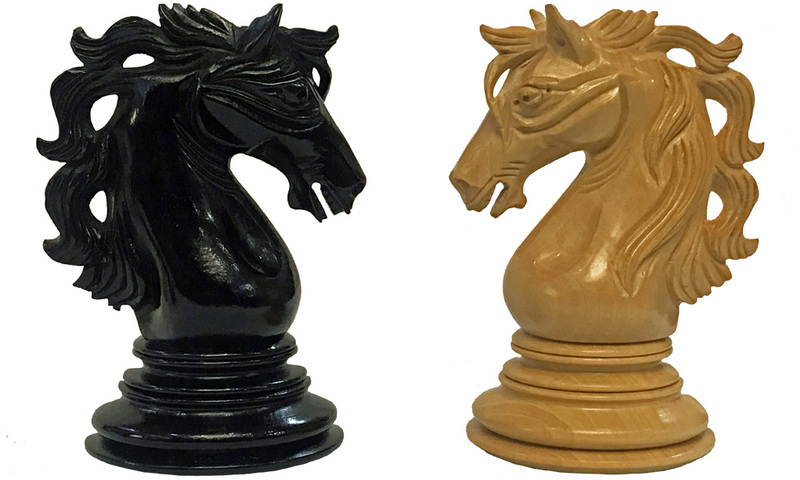 Chessmen design / material Chess pieces sumptuous hand-carved Jaques-Knight of ebony and boxwood natural stained. American Adios design. Storage Gif box with 32 fitted trays and felt-lined.